Learn the Bony Mallet finger injury repair( Synthes Hook plate) surgical technique with step by step instructions on OrthOracle. Our e-learning platform contains high resolution images and a certified CME of the Bony Mallet finger injury repair( Synthes Hook plate) surgical procedure. Mallet injuries are amongst the most common injuries involving the fingers of the hand. These are avulsions of the extensor tendon from their attachment at the dorsal base of the terminal phalanx. Some of these avulsion injuries may have a bony component of variable size. These seemingly simple injuries require a long and tedious management with less than satisfactory outcomes. A majority of them can be treated conservatively in a mallet splint. 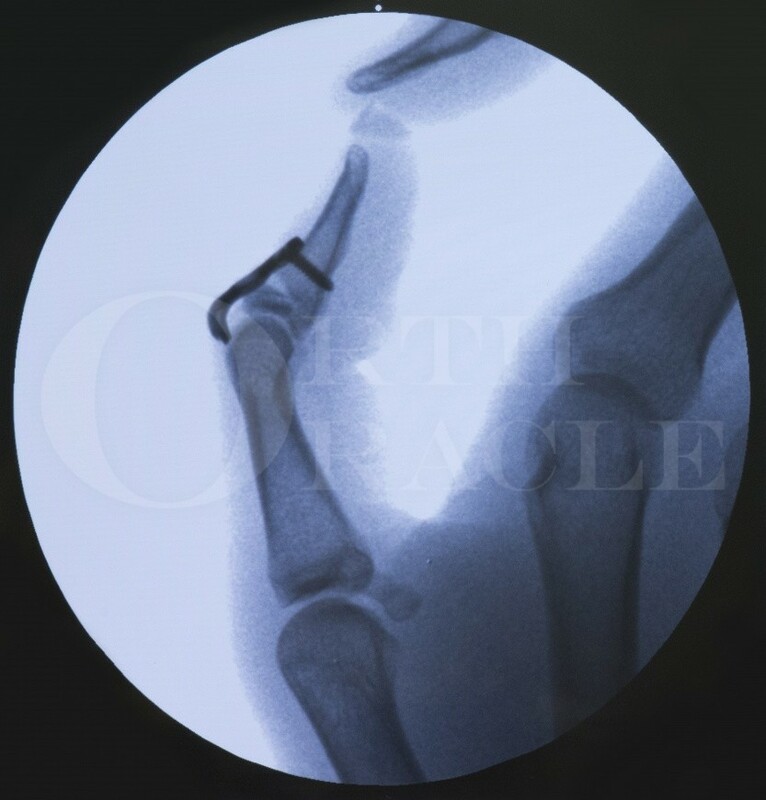 However, some of the displaced bony injuries require a reduction of the Distal Interphalangeal Joint and a stabilization of the fractured fragment. A hook plate is an elegant technique to facilitate this. It protects the avulsed bony piece from fragmentation with metalwork insertion, and provides a stable construct for reduction and fixation.